YASS! What I do is treat myself (but save $!) by going to my local beauty school. I get my hair washed and d c’d for $17 every other week. But to pay one time $30 + $7 s&h this is much cheaper. However I love, I do like the feeling of lying back and getting my scalp massaged. Hahahahaha!! Hey, I gotta keep that as a back-up for a little while longer ;). LOL!!! And yeah, one of these caps is totally worth the investment for the days you feel like saving some money and in between salon visits ;). 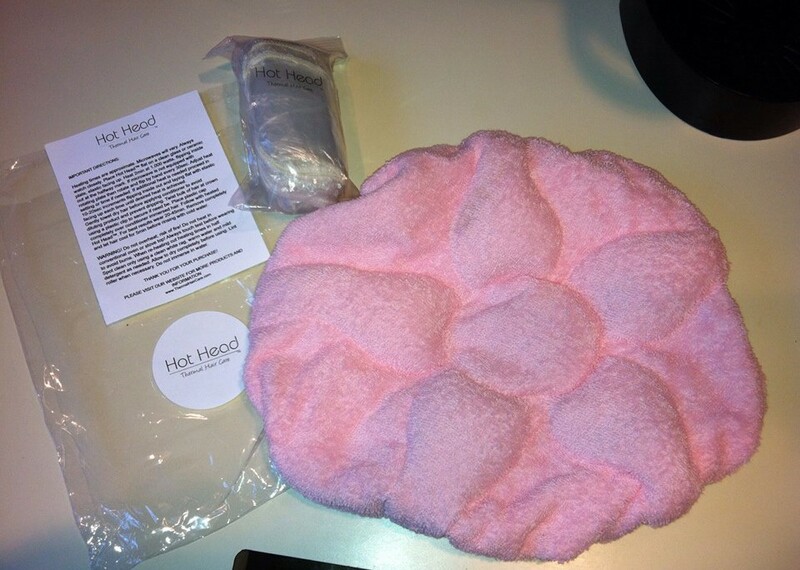 I love the Hiot Head cap! I have used it for several years and have purchased another. Actually I had thought about purchasing the Thermal Turbal wrap until I discovered these. (Didn’t like the idea of taking the heat packs out and possible bursting). Hot Head Caps definitely lasts a long time, beautiful patterns, holds heat well and the portability can’t be beat. I am glad you had positive results. Sandra offers excellent customer service which is always a plus. Margaret, I NEVER take the heat packs out. Once they’re in, you just heat the whole cap. But, regardless, the flax seeds are genius and I agree, no risk of popping (because I worried about that happening IN the wrap, but it never has). So happy to hear that you have had yours for several years and it still works great. Are you getting another one just to have a different pattern or because your old one doesn’t get as hot anymore? I’m just wondering how long the seeds will sustain re-heating. I’ve always considered giving one of these types of caps a go because I never deep condition for more than a few minutes. You’ve definitely given me something to think about! You know that I am a fan of the heated DC. Scientifically speaking, it does make a difference. Natural Haven has a really good article on the effects of DCing with heat. But, anything over an hour only leads to softening of the keratin, not additional uptake of conditioner. So, I generally DC for 30 min to an hour now. If I remember, at 30 minutes, you reach just about maximum uptake. 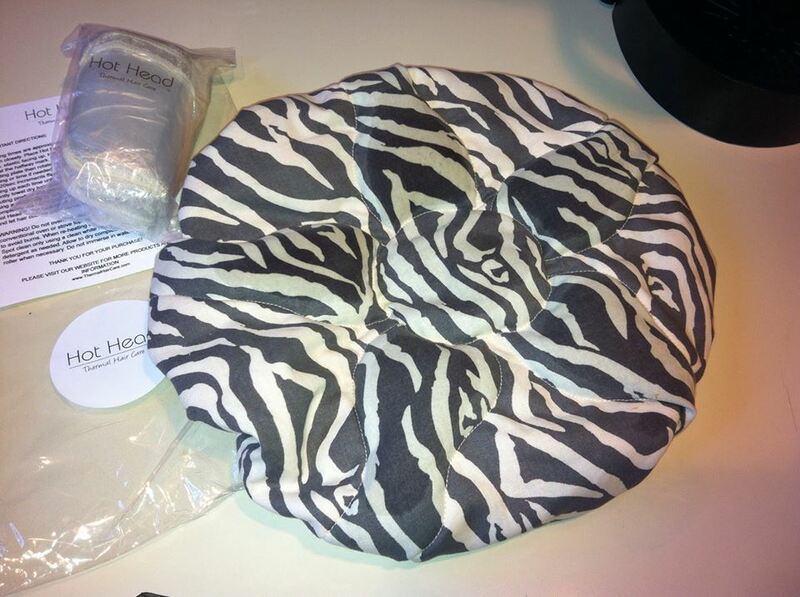 I LOVE the Hot Head heat cap! I’ve been using it now for about 6 months after reading the review from Reece (A Hair Story). I made the switch from the Thermal Turban Wrap because I found that all of the heat would be concentrated to the top of my head because the back of the turban wrap had no heat source (no gel pack in the fabric used to wrap it) and thus I felt that the back of my head never got the deep conditioning it needed like the top and sides of my head. The Hot Head cap does a good job of heating my entire head. Thanks for the feedback about the long-term use of the cap!! The way I wrapped the wrap, I think the sides and top covered around the back, so I got the coverage. But like just putting on the cap like a shower cap!! It’s way easier. LOL! Oh you got it!!!! I’m glad you like it as much as I do. You know I wasn’t deep conditioning with heat before it because I couldn’t be bothered to take out the hair dryer. This was a total life saver! I did NOT know you weren’t DCing with heat. LOL!! Why didn’t you ever get the turban wrap? 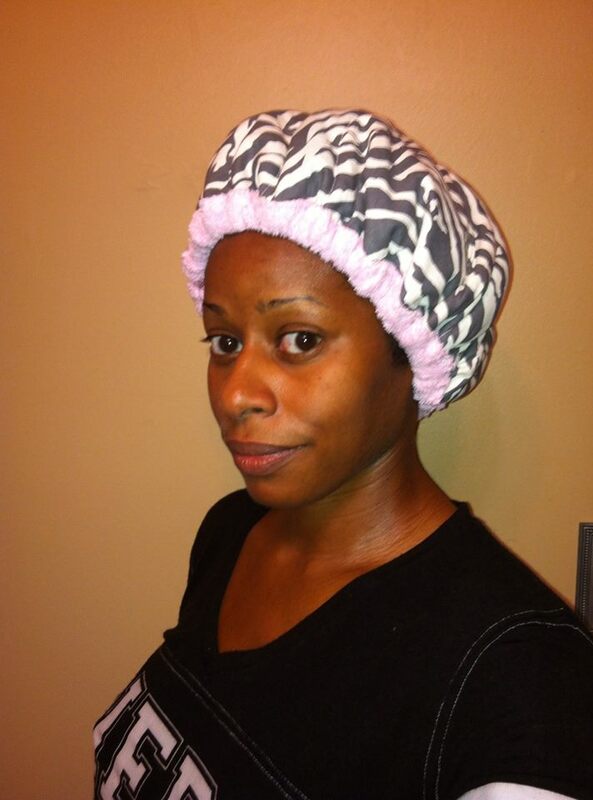 I used to use a soft bonnet dryer for DCing, but once I saw the wrap on CurlyNikki, I got it quickly!! So much more convenient! And for henna?!?! I don’t think I would have continued to henna if I didn’t have the wrap!! But yeah, the cap is great too!! And yup, same print. You know that we love our animal prints ;). I have brown/cream zebra print accessories in my bathroom, a hot pink robe with a subtle animal print created by the texture, and pink tiles … so this coordinates well :). I got mine after reading Rece’s review as well and I love it. Great reviews. I recently did a review on the Heat Therapy Wrap. I’d love for an update on the durability of this item.